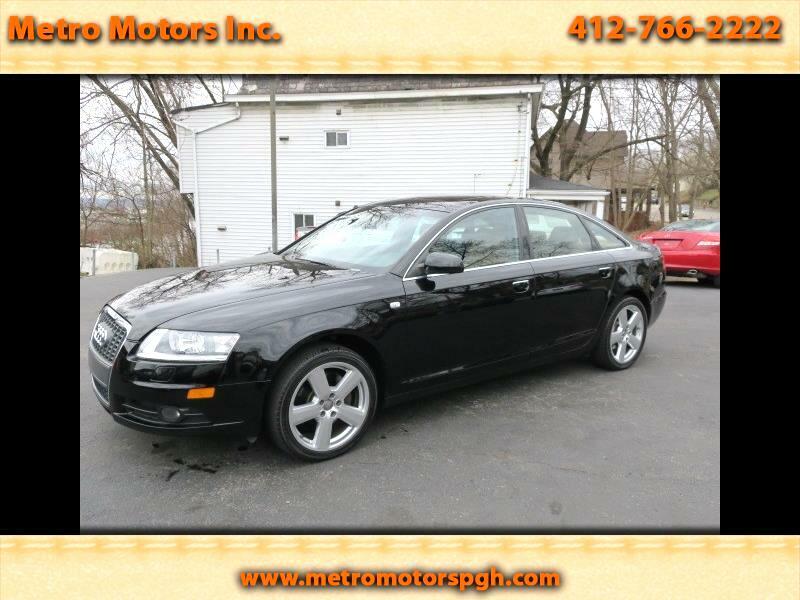 Used 2008 Audi A6 3.2 with Tiptronic for Sale in Pittsburgh PA 15202 Metro Motors Inc.
Pristine Garage kept 2009 Audi A 6 S-Line Sport Quattro German Luxury Sedan!! ALL WHEEL DRIVE. Finished in Raven Black, Saddle Brown Premium Leather Interior with Walnut Wood Trim. This car has been well maintained, and it shows! Totally Loaded with MMI Control System with Bluetooth, Navigation, Harmon Kardon Premium Sound System with CD, Backup Camera, and Audio Input Cord. Power Glass Moon Roof. Automatic Xenon HID Headlamps. Rain Sensor Automatic Wipers. Parktronic Parking Assist. Electric Telescoping Steering Wheel. Fold Down Rear Seats for maximum hauling space. Ski Sack, and Audi Ski Storage Bag. 18 Inch Alloy Sport Wheels on High Tread Tires. All Original Books, Manuals. Just Serviced, Inspected, Smog Tested. Surround Air Bag System (recall just finished at Audi Dealer) Heated Front and Rear Seats!! All the Options!! Clean Auto Check History Report Show NO ACCIDENTS OR ISSUES!! You will not find a nicer 2008 Audi A6 Quattro S Line!! And a Great Price for this Beauty!